Honda today revealed the 2019 edition of its CRF Trail family, which boasts two dramatically updated models and one completely new machine. 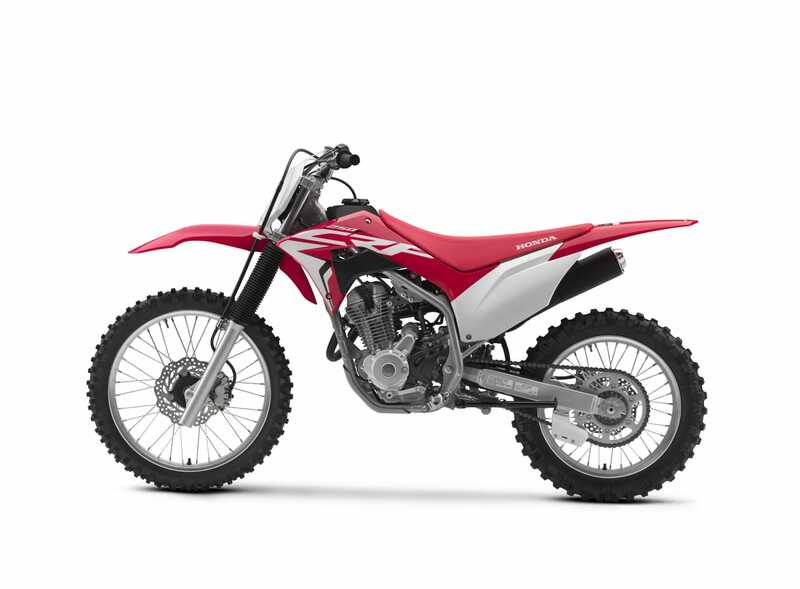 All three new CRF Trail models—the CRF250F, CRF125F (including CRF125F Big Wheel) and CRF110F—benefit from the adoption of Keihin electronic fuel injection systems, and all are 50-state off-road legal. 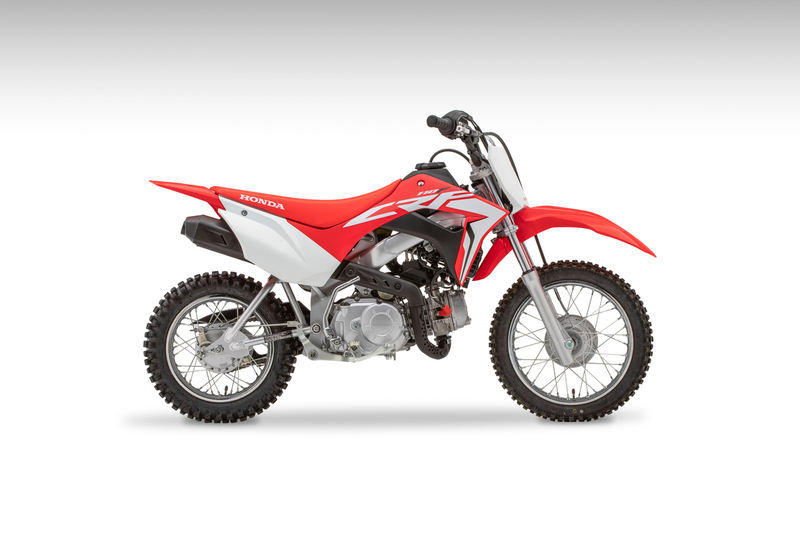 The updates improve on the line’s friendly nature by providing more linear power and improved handling precision without sacrificing the comfort for which Honda’s recreational off-road models have been renowned since the first XR75 was unveiled in 1973. 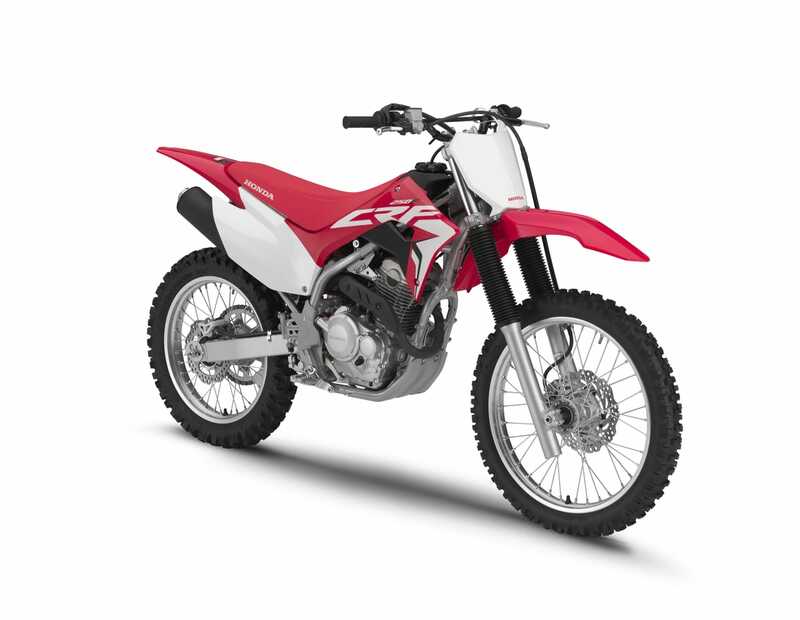 Already an ideal midsize trail bike for the mid-height recreational rider, the CRF125F now has a new twin-spar steel frame and a Keihin electronic fuel injection system, making it smoother, stronger and more stable, instilling even more confidence in its rider. Returning is the proven SOHC 124cc engine and four-speed transmission. Thanks to the design of the new frame, the seat height is only .2mm higher at a low 29.1 inches, despite thicker seat foam and 10mm and 12mm more front and rear suspension travel, respectively. Customers have the choice of a Big Wheel version that swaps the 17- and 14-inch rims for 19- and 16-inches, raising seat height by 1.8 inches and increasing front and rear suspension travel. The new steel fuel tank houses a fuel pump and a sensor that indicates low fuel via a handlebar-mounted light. There’s no mistaking the CRF Performance line-inspired bodywork, which improves looks and allows easier rider maneuverability. 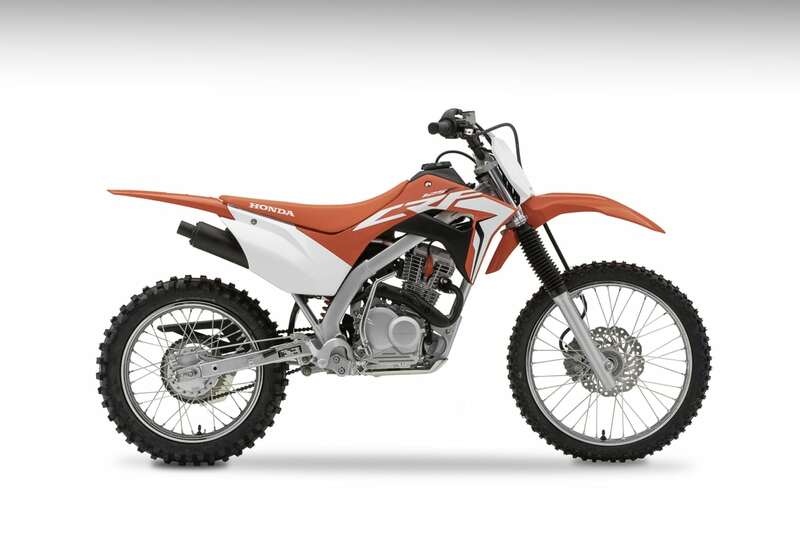 Fuel injection reaches the kid-friendly CRF110F, making the 109cc engine even smoother than before. A four-speed semi-automatic transmission is ideal for new riders, and a more supple ride comes courtesy of a twin-spar steel frame that takes the harshness out of big impacts. Although there’s 12mm more rear-suspension travel and a 5mm thicker seat, the seat height is actually .4 inches lower! An indicator light on the handlebar illuminates when only .2 gallons of fuel remain in the tank, grips are now a half-waffle pattern for better feel with smaller hands, and a ratchet-style fuel cap minimizes the chance of loosening during a ride. Parents and riding instructors get the peace of mind of knowing their rider is on a smooth and secure machine that will last through the years, and the CRF110F’s new features instill even more confidence and independence in its young rider.